These are just some of the words that may come to mind as you experience the iconic works of world-renowned glass artist Dale Chihuly at Biltmore. 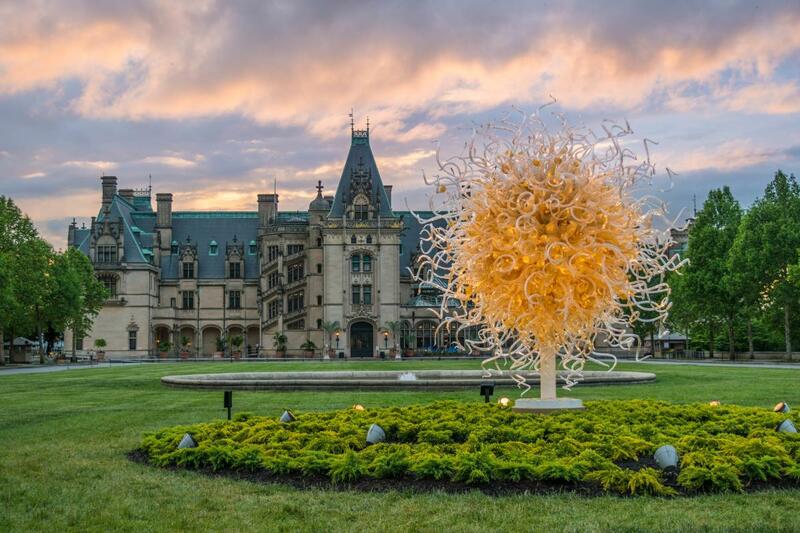 The Chihuly at Biltmore exhibition runs May 17-October 7, 2018. Most of the glass sculptures are thoughtfully installed throughout the manicured gardens of the estate. 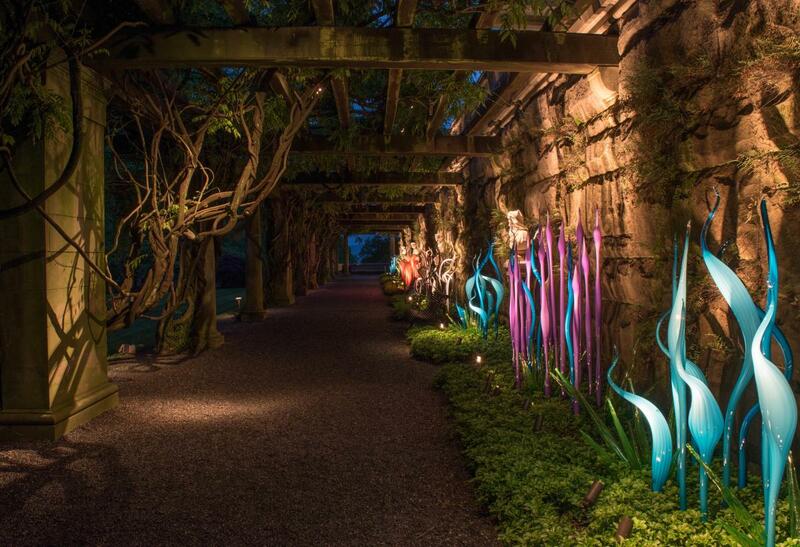 You&apos;ll also be able to see Chihuly&apos;s work inside Biltmore house and at Antler Hill Village. 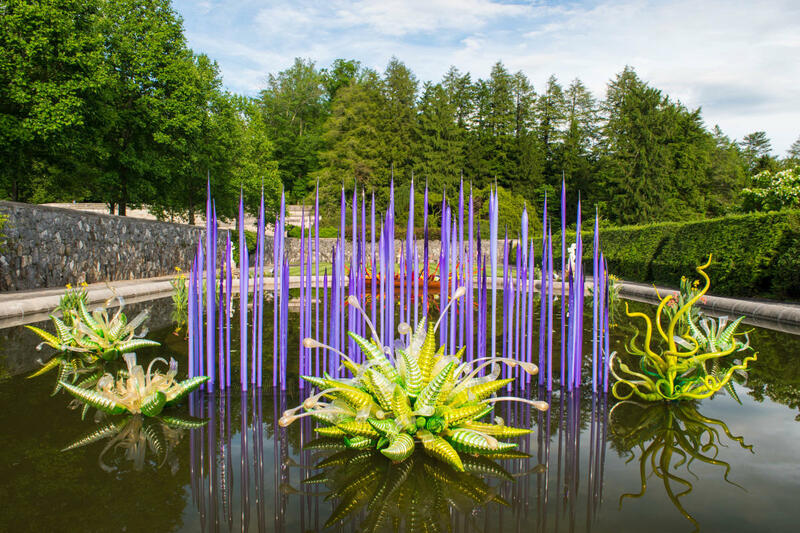 Daytime admission to Chihuly at Biltmore is included with a general admission ticket. 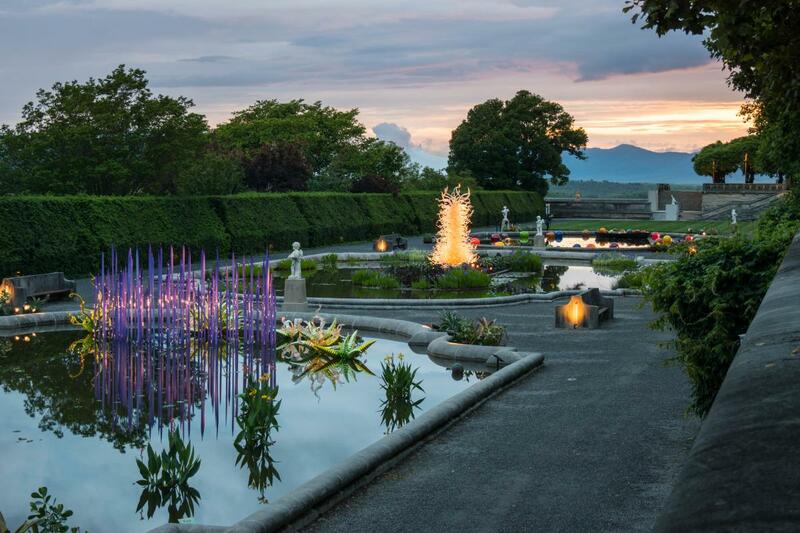 But, there will also be a first-time evening experience in the gardens called Chihuly Nights at Biltmore, which happens Thursdays through Sundays and requires a separate admission. As you&apos;ll see in the photos below, different light creates a different experience when viewing the sculptures. You might say the difference is night and day! So, if you have the opportunity, you&apos;ll want to be there for both the daytime and evening celebrations. 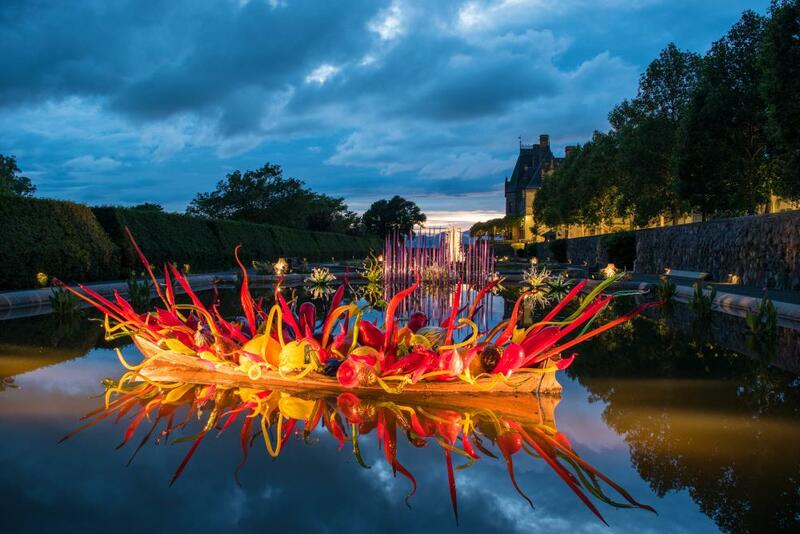 Biltmore announced in mid-August it has added more opportunities for you to experience Chihuly Nights. 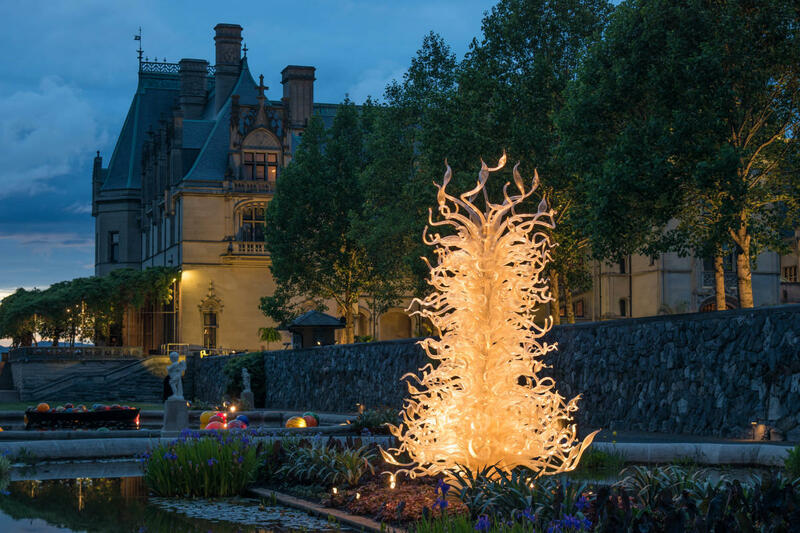 For the final two weeks of Chihuly at Biltmore (September 20-October 7), you can attend Chihuly Nights each night of the week. 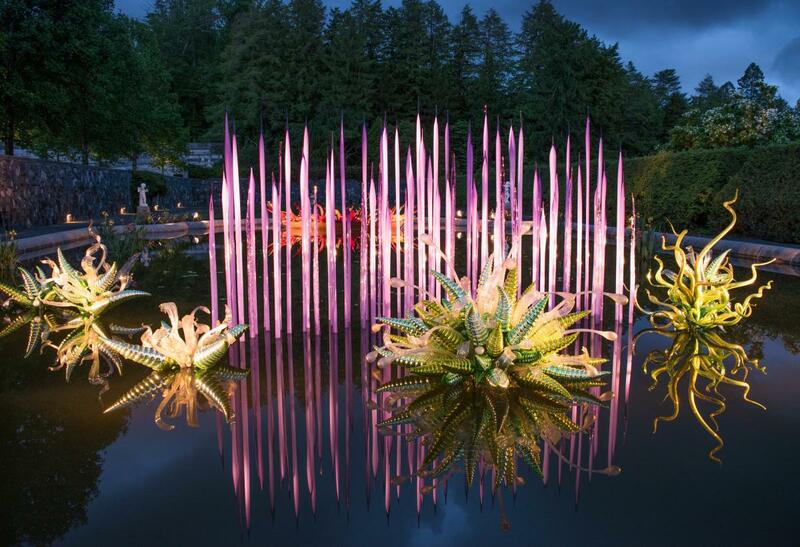 The Chihuly exhibition at Biltmore has kicked off the Summer of Glass in Asheville. From May through October, take part in a community-wide celebration of glass through special local exhibitions, tours, workshops and events. There will be demonstrations of glass blowing, glass jewelry making, stained glass, enameling and working with glass beads in artists’ studios, galleries and other locations across the city and surrounding region. Learn more with our guide to the Summer of Glass. Please join us on this photo tour designed to give you a look at what to expect when you visit during the exhibition. While these photos provide you a sneak peek, making the trip to Biltmore yourself is the only way to truly appreciate the grandeur of BIltmore and the detail of the Chihuly sculptures. 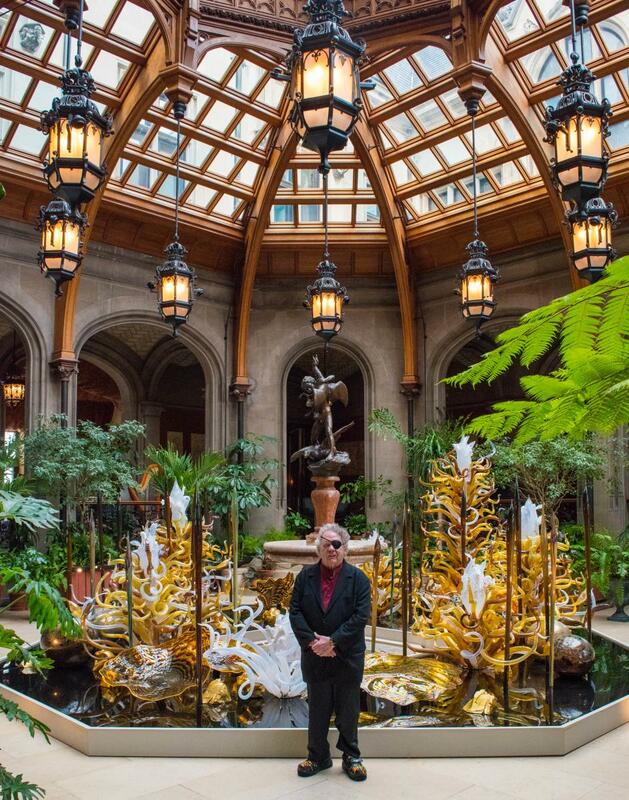 Dale Chihuly poses inside Biltmore House in the Winter Garden the night before the exhibition&apos;s official opening. The glass work you see behind him was customized just for Biltmore. 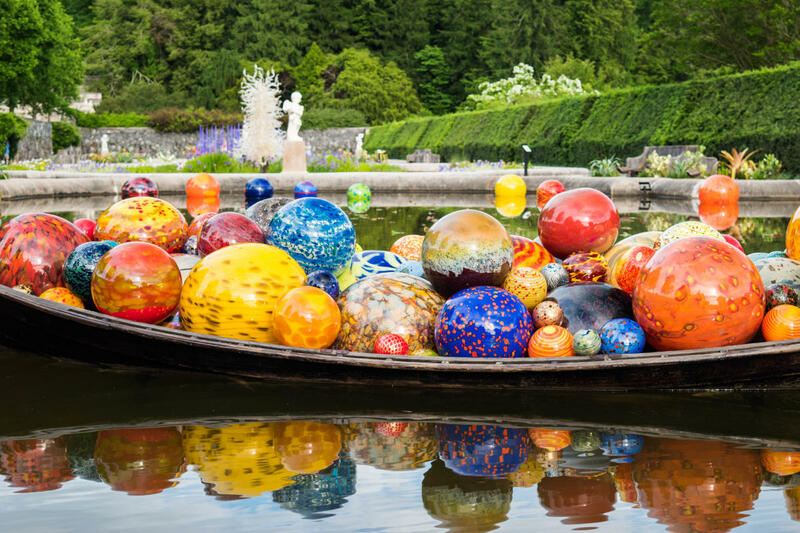 The Italian Garden is where you&apos;ll find the most variety of the Chihuly sculptures at Biltmore. The sculptures have been installed in the ponds, creating amazing reflections on the water. 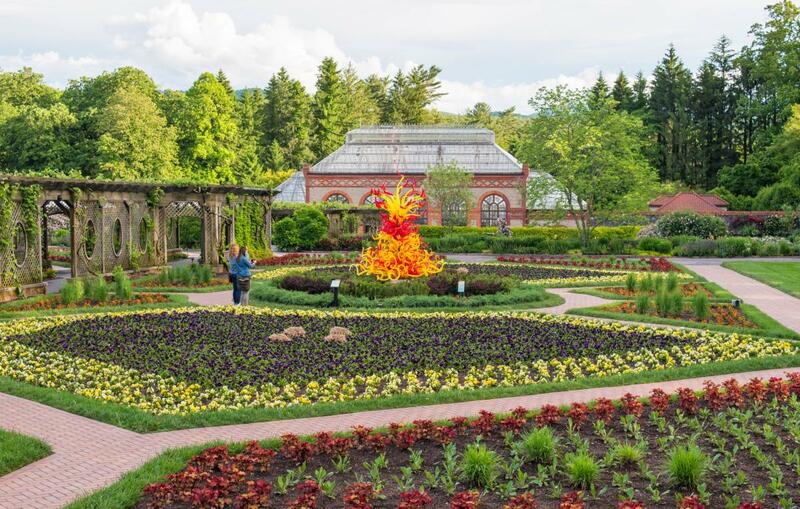 Bright yellow, orange and red sculptures provide a burst of color to the Walled Garden. Inside the Conservatory you&apos;ll find additional sculptures that dangle above the indoor garden. The "Sole d&apos;Oro" is a focal point of Biltmore&apos;s front lawn. This sun-shaped sculpture is illuminated after sunset. 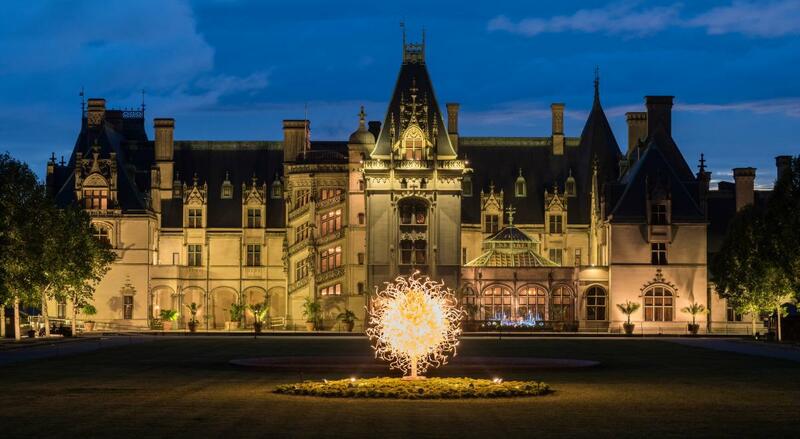 When the sun goes down, Biltmore illuminates the sculptures creating an entirely new experience. See how the lights travels through the glass is mesmerizing.